Cars don't run on magic. When you drive your car down the road, it's only because be complex machine made from hundreds of different parts and fluids makes it possible. No matter what you're driving, it's only a matter of time before the fluids get old and parts start to wear out. The best way to prevent or remedy that? Seeking vehicle service from a dealership like Lithia Chrysler Dodge Jeep Ram Fiat. Our location in Eugene, OR has an on-site service center staffed by factory-trained technicians who can provide the auto service and car repair your vehicle will inevitably need. How Often Does My Car Need Service? The answer to this question varies. While you should seek vehicle service more regularly if you drive a lot of miles, you should get a basic round of vehicle maintenance at least once a year. It's also recommended that you schedule a regular inspection every few months to help root out any developing issues before they grow into larger problems. For answers pertaining specifically to your car, check your vehicle manual. It should have more information about how often your vehicle needs a mechanic's touch. Do I Need An Appointment to Have My Car Serviced? While many service centers will work to squeeze you in if you need help, your best bet for fast and efficient vehicle service is to schedule an appointment in advance of your visit. Luckily, when you seek service at Lithia Chrysler Dodge Jeep Ram FIAT of Eugene, that process is easy. Just fill out the <="" a=""> on our website to schedule an appointment. What if I Cannot Afford a Major Car Repair? When your car suffers substantial damage, repair costs can be a big worry. If you get your repairs taken care of at our service center, we'll be able to provide affordable financing options to make your repair bill more manageable. The only thing you should have to worry about is getting your car safely on the road again. Lithia Chrysler Dodge Jeep Ram FIAT of Eugene aims to be your number one choice for all your service needs. 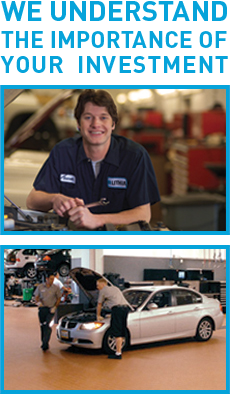 Our dealership's technicians are proud to serve customers in Eugene, Springfield, Cotton Grove, Corvallis, and beyond. Whether you're looking to get an oil change, have your battery inspected, tires rotated, brakes repaired, or something completely different, we can help. We'll use top-quality OEM parts to guarantee the best repairs. Get in touch with us today to learn about our current special offers.